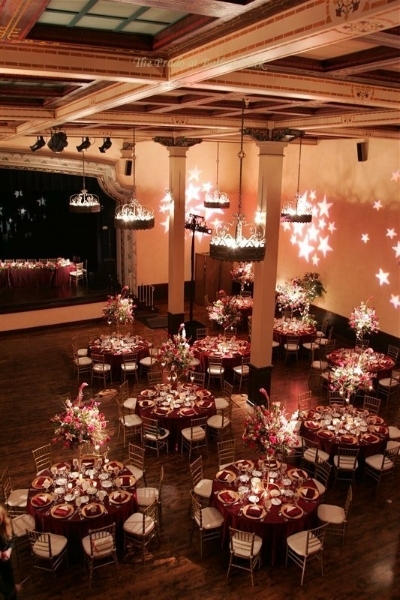 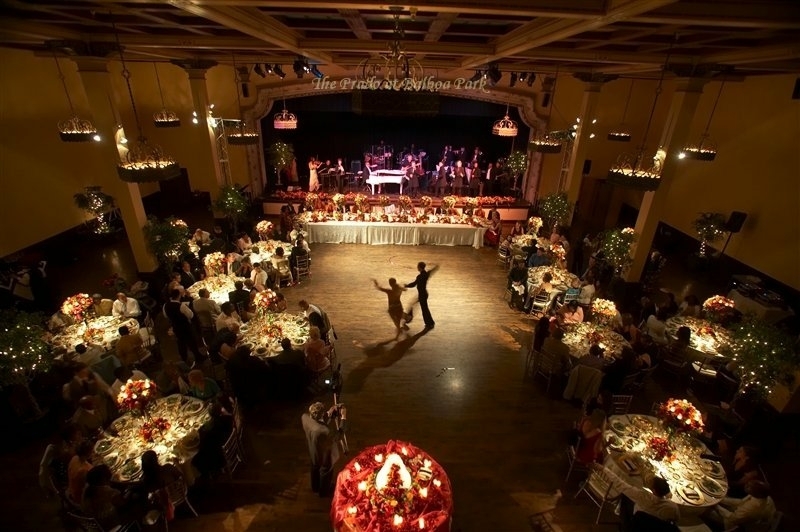 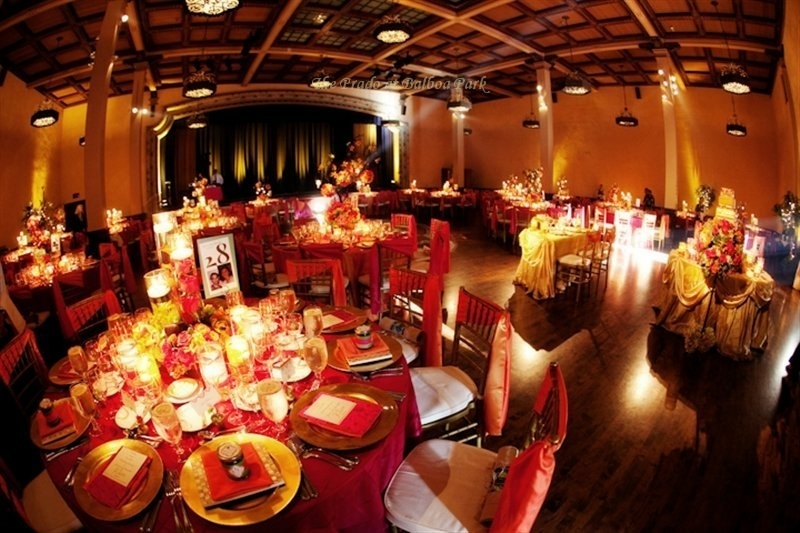 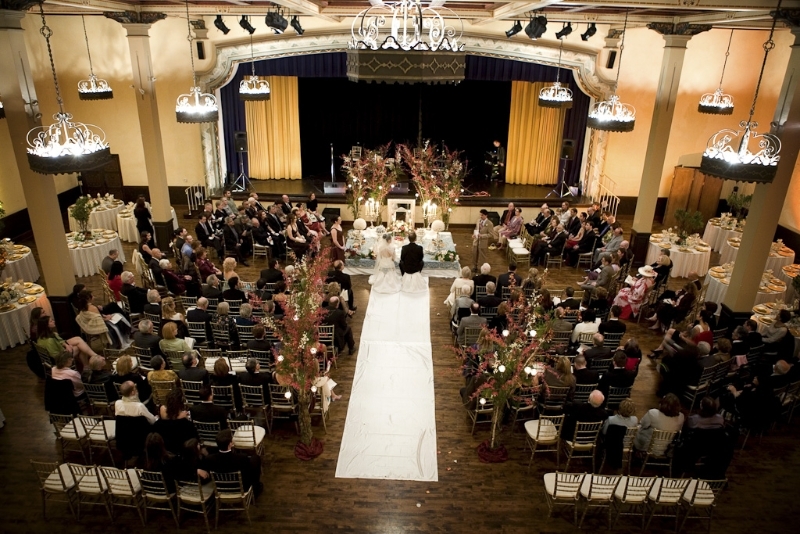 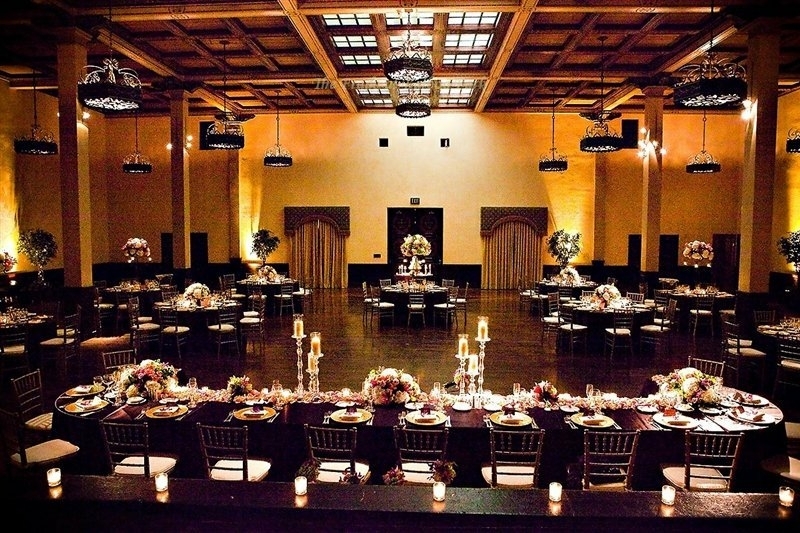 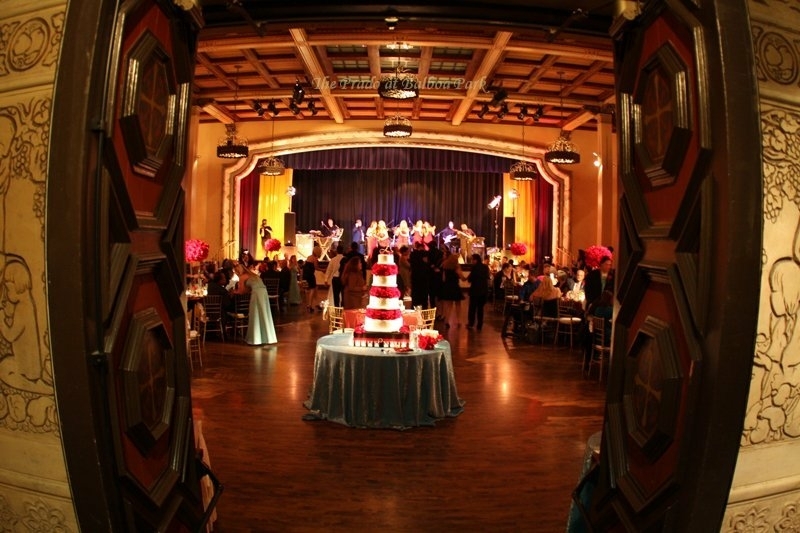 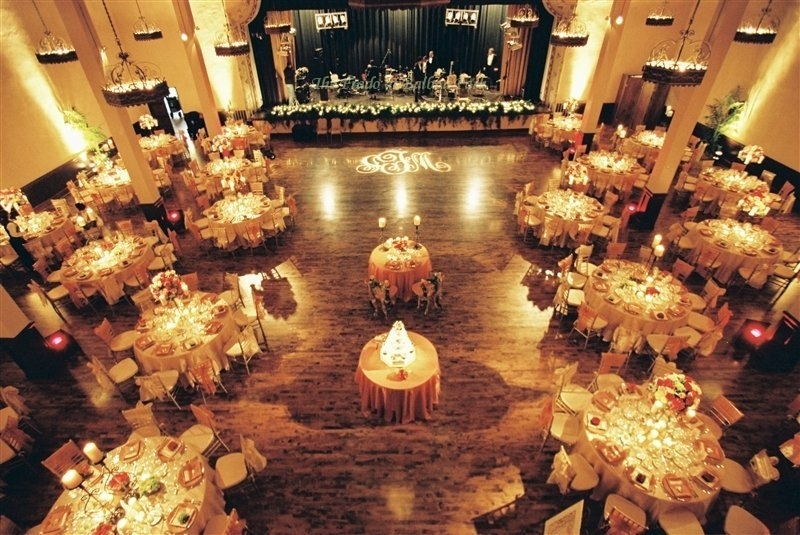 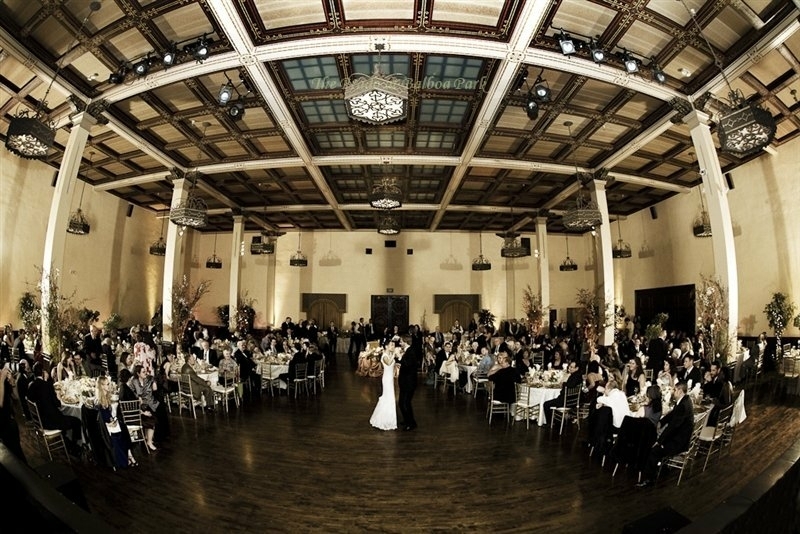 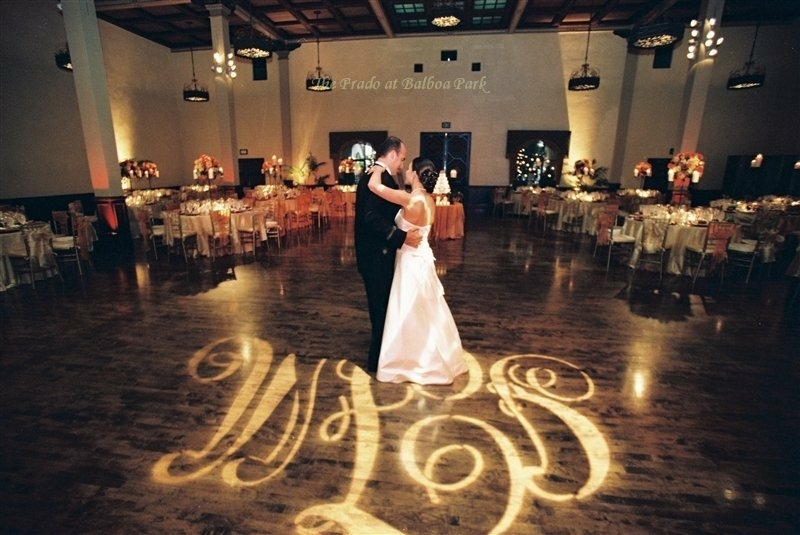 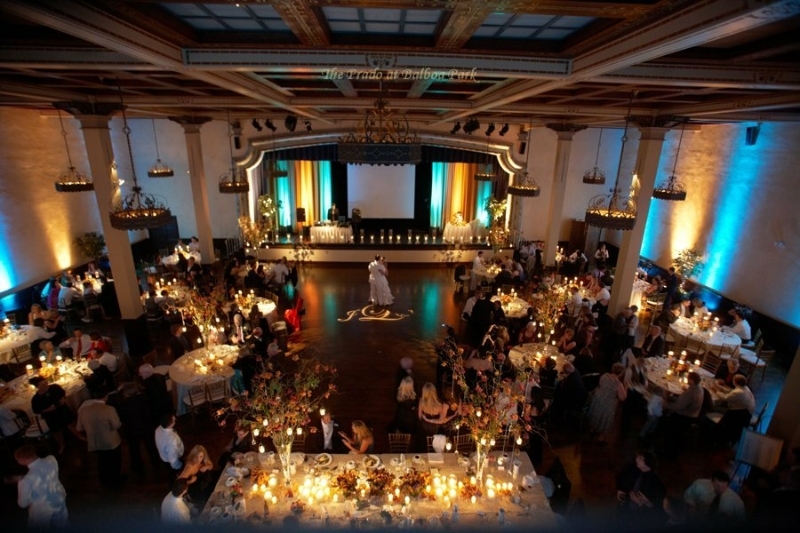 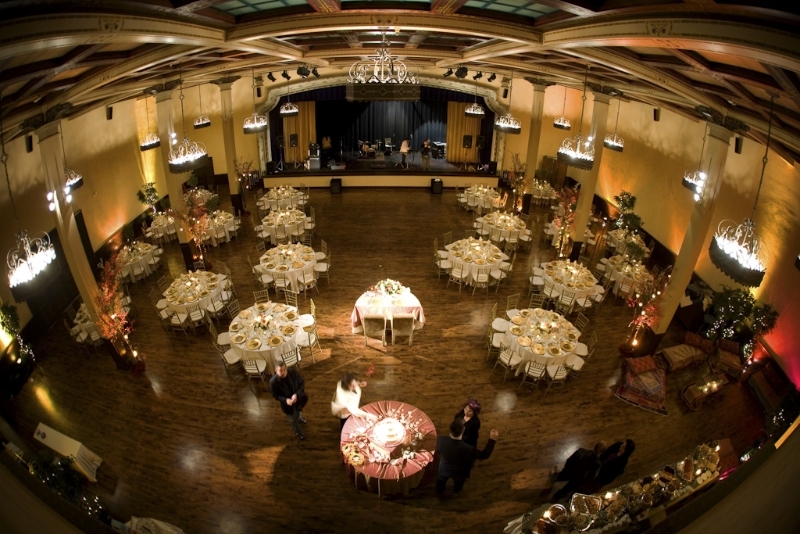 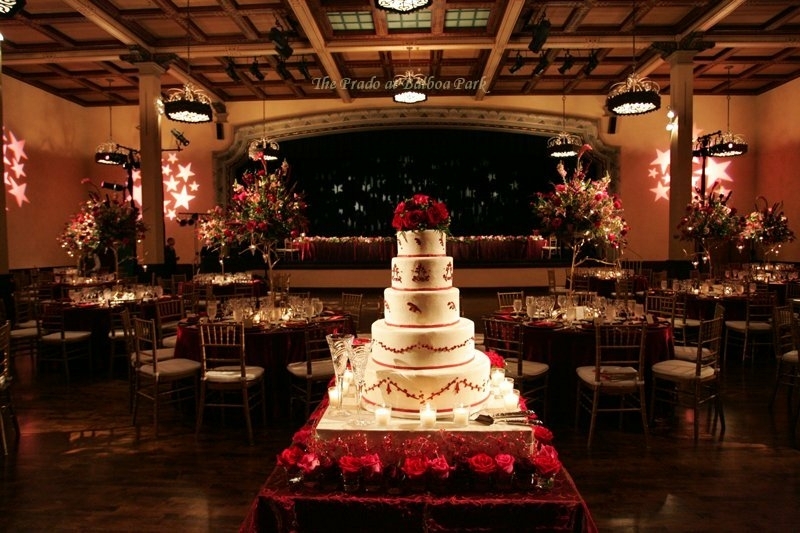 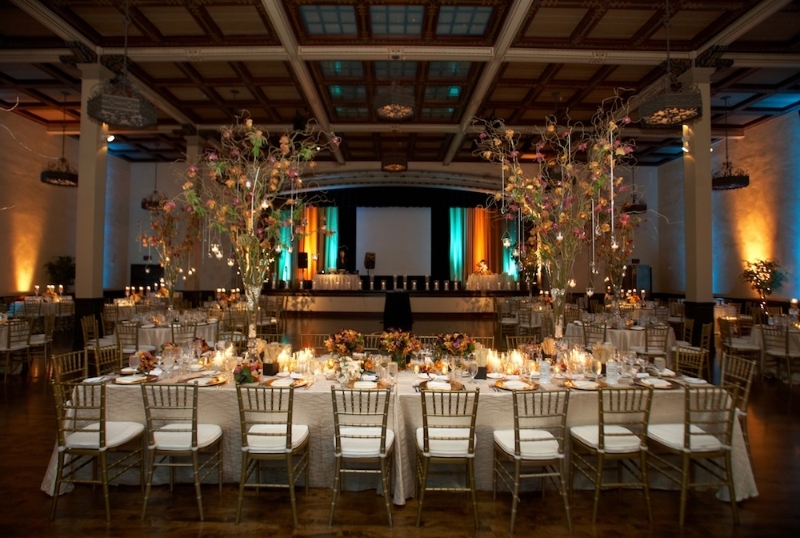 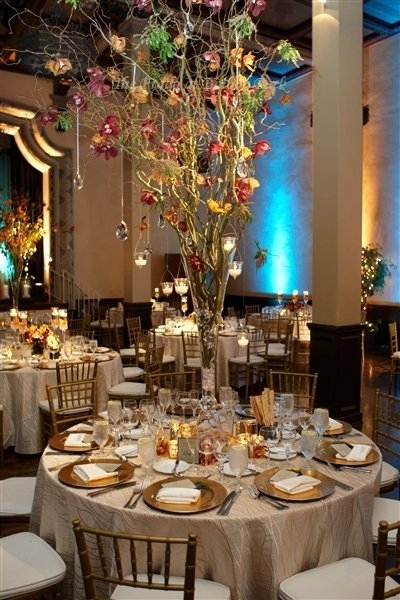 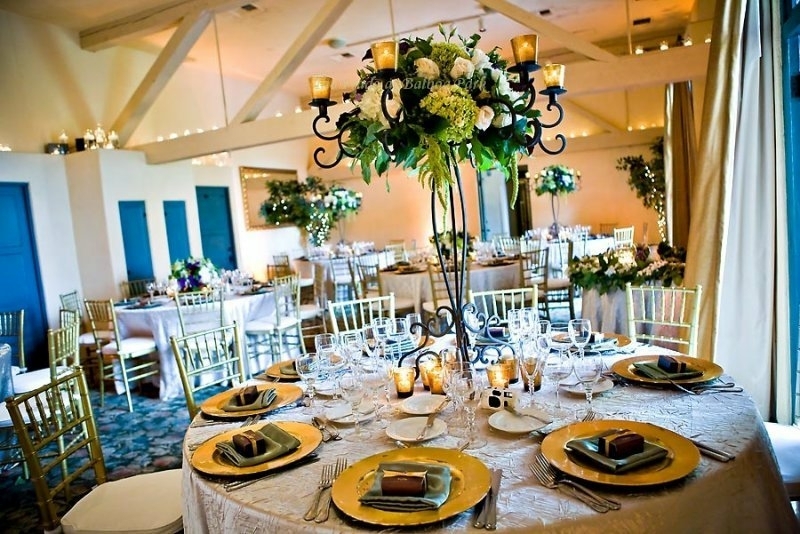 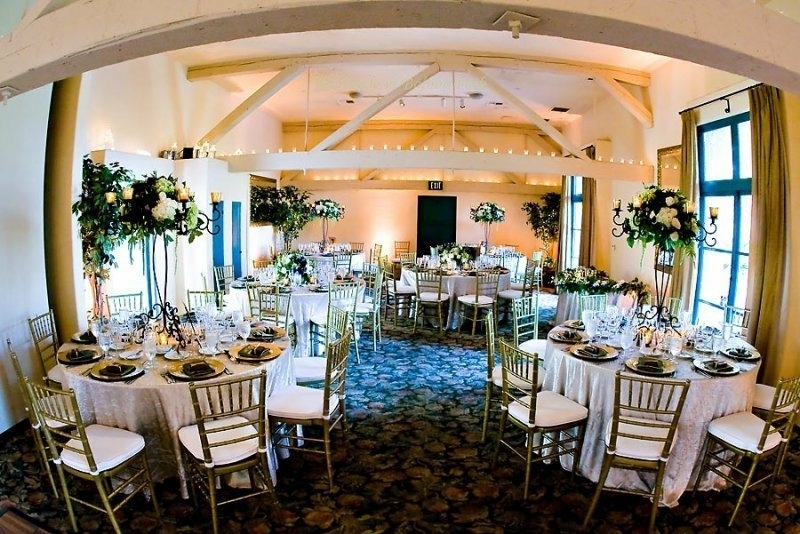 This elegant and unique ballroom features beautiful hardwood floors, a 27-foot high hand-stenciled ceiling, custom lacy chandeliers, skylights, a fully equipped theatrical stage and bride’s dressing room. 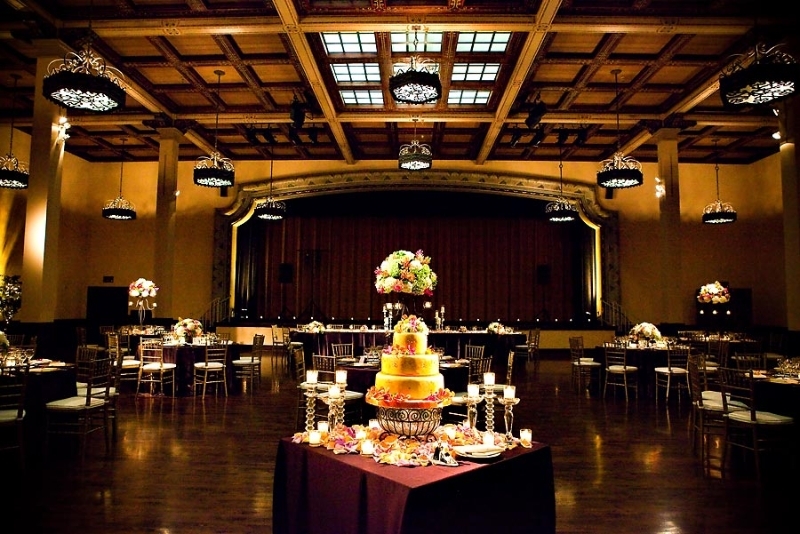 Located adjacent to the Courtyard, the 5500 square foot ballroom can seat up to 320 guests. 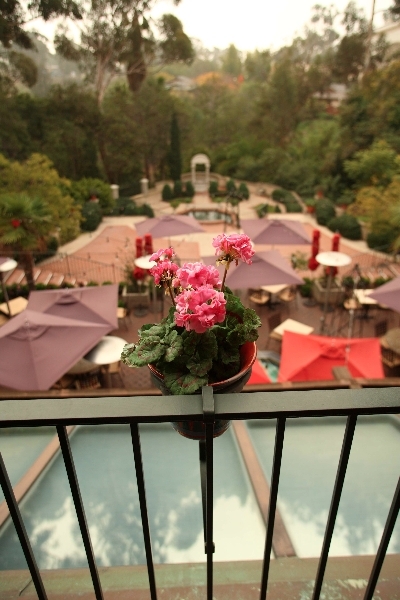 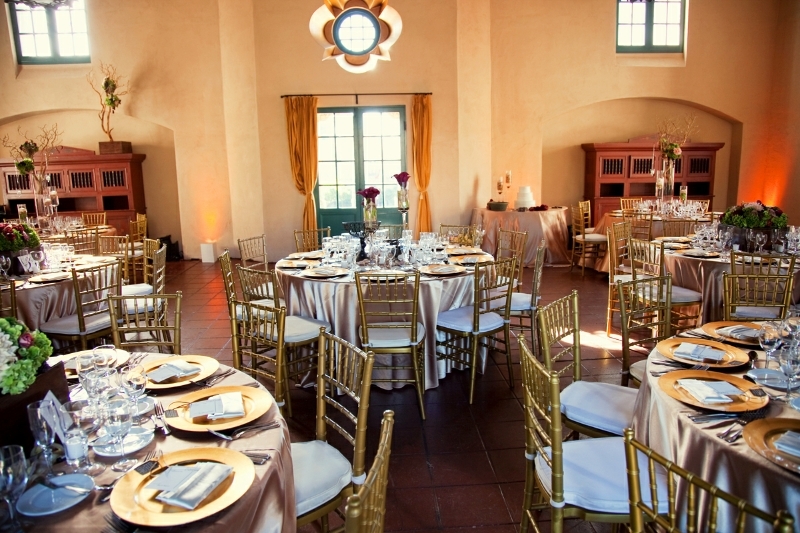 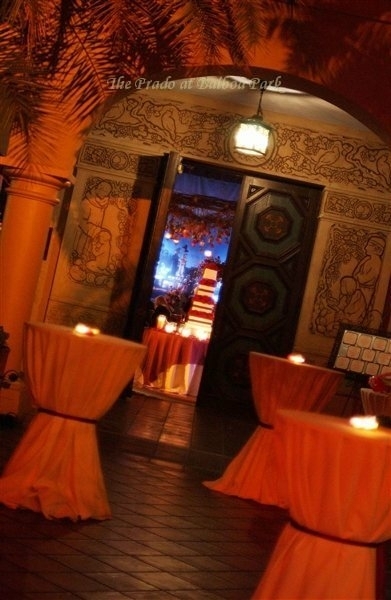 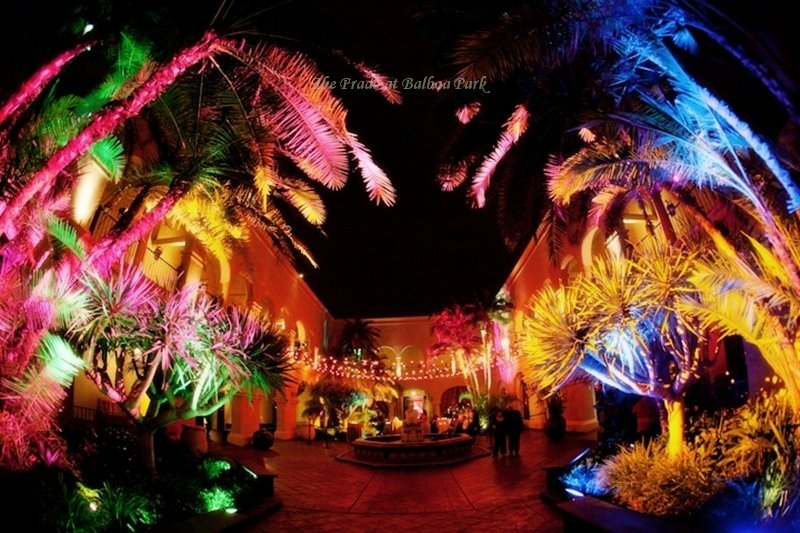 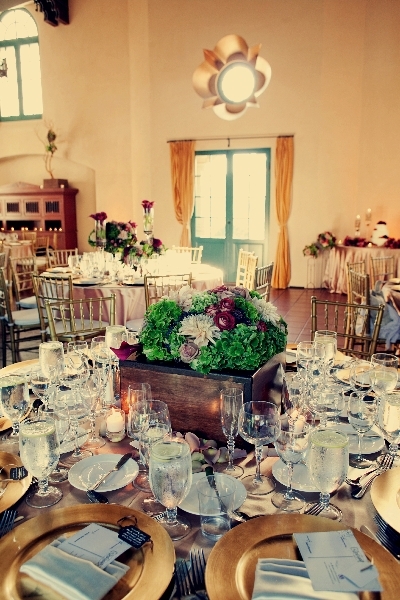 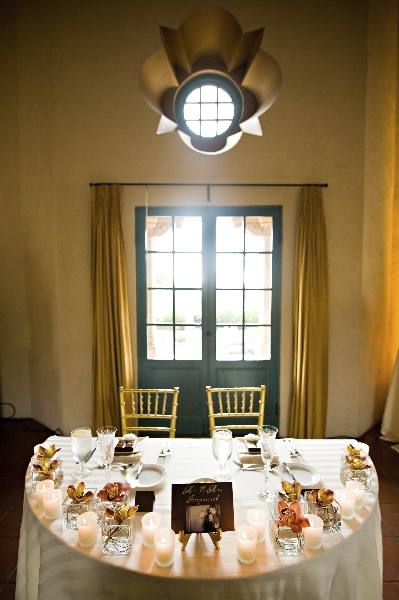 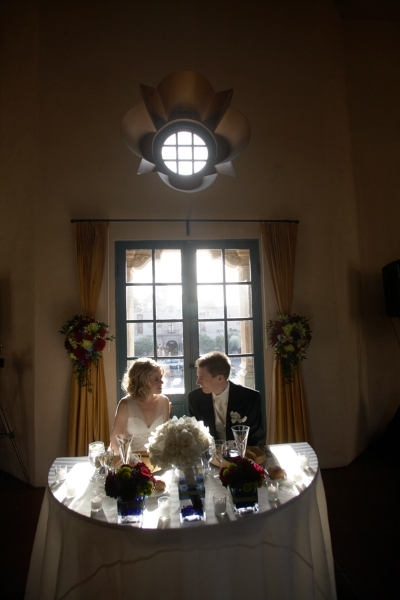 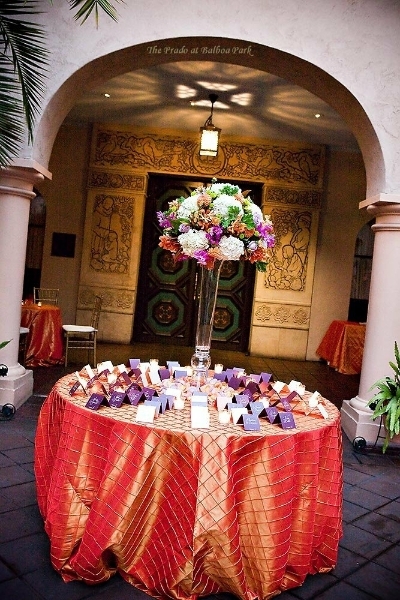 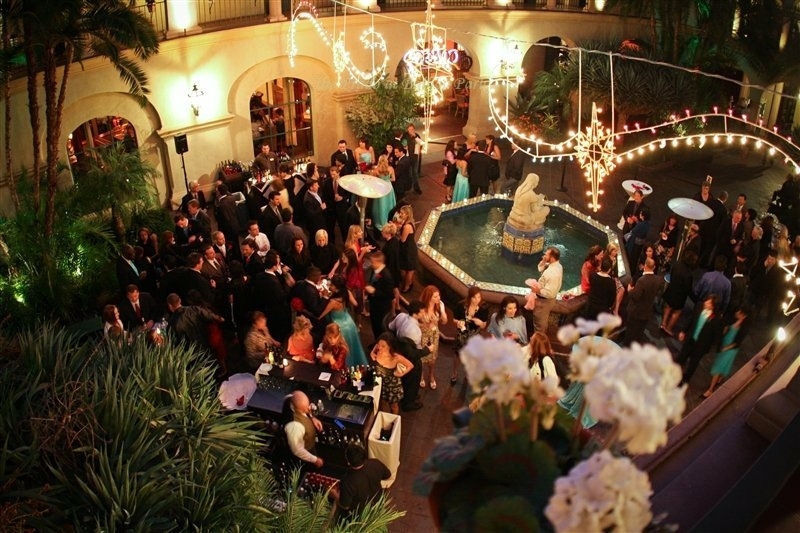 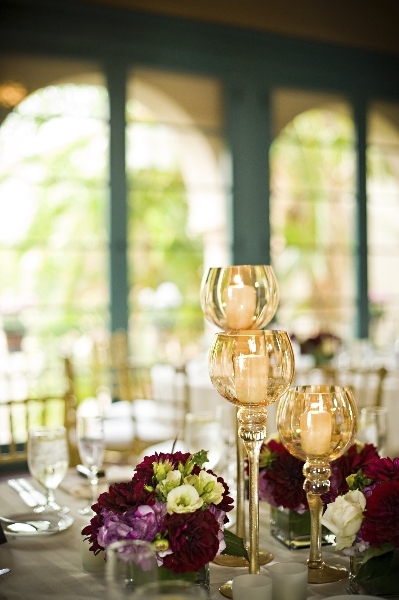 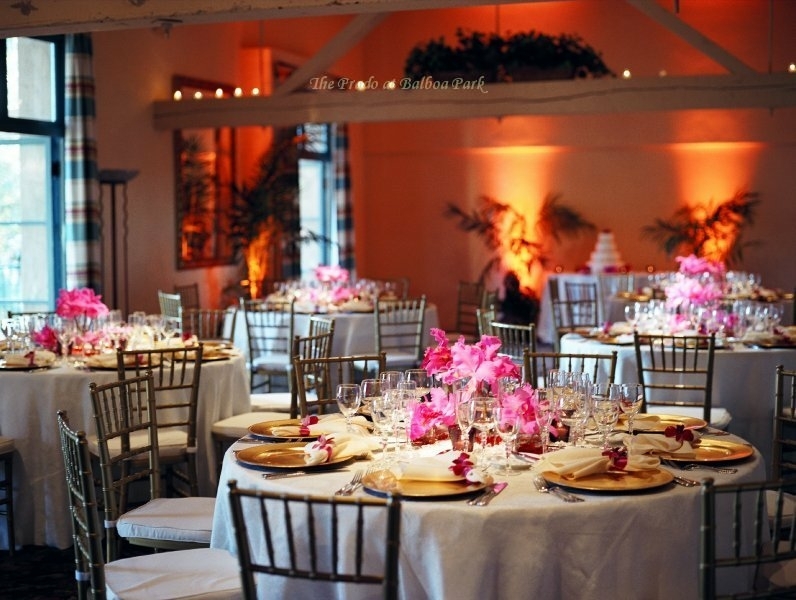 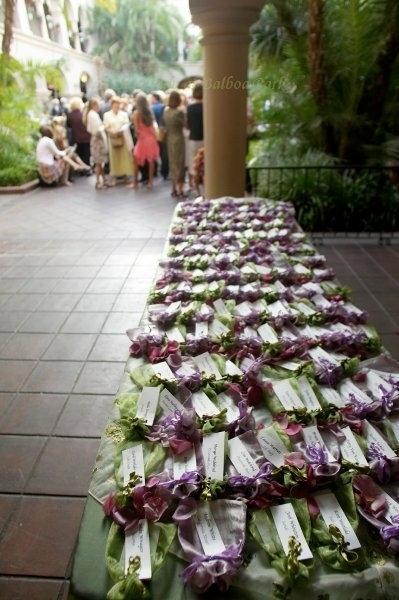 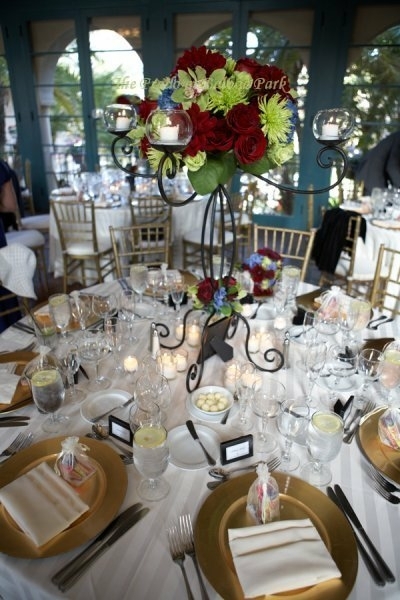 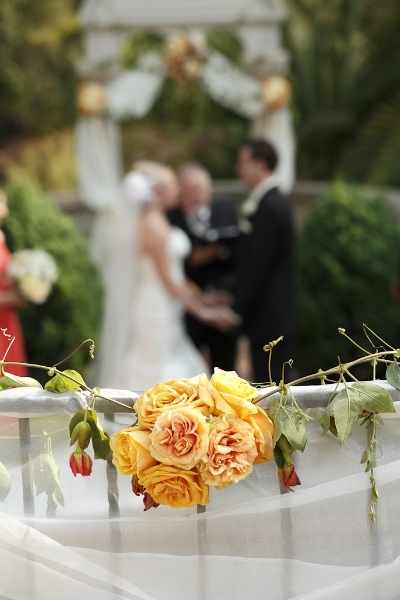 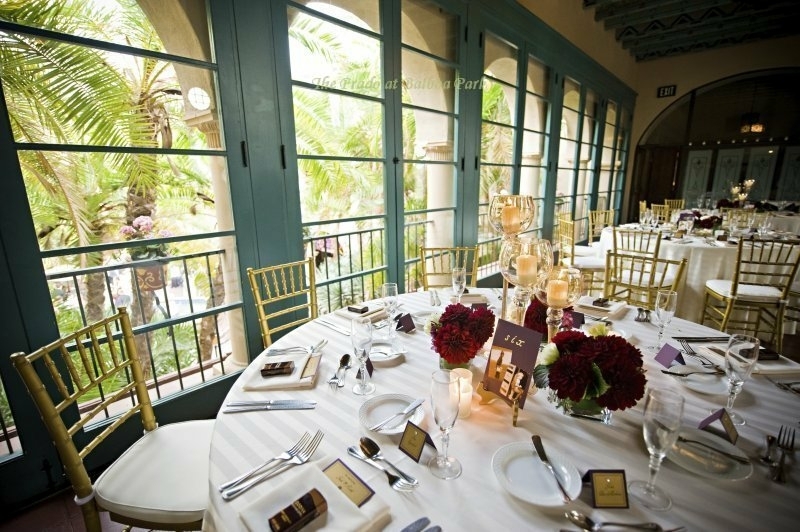 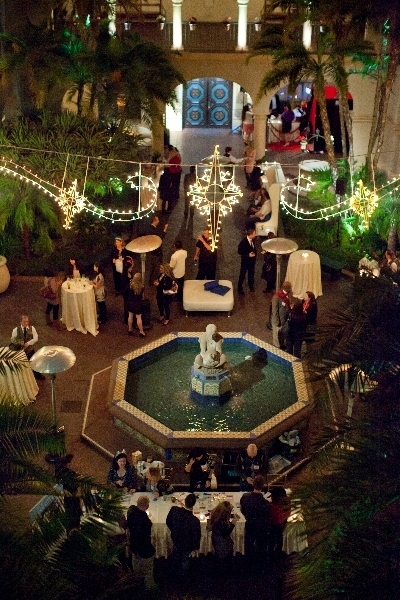 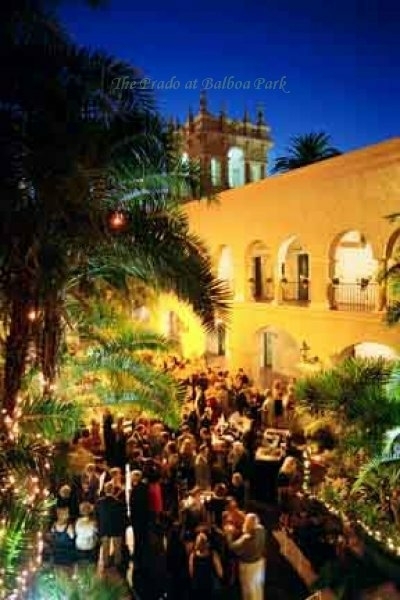 As the pre-function space for the ballroom, this traditional, Spanish Colonial courtyard offers a lush garden setting. 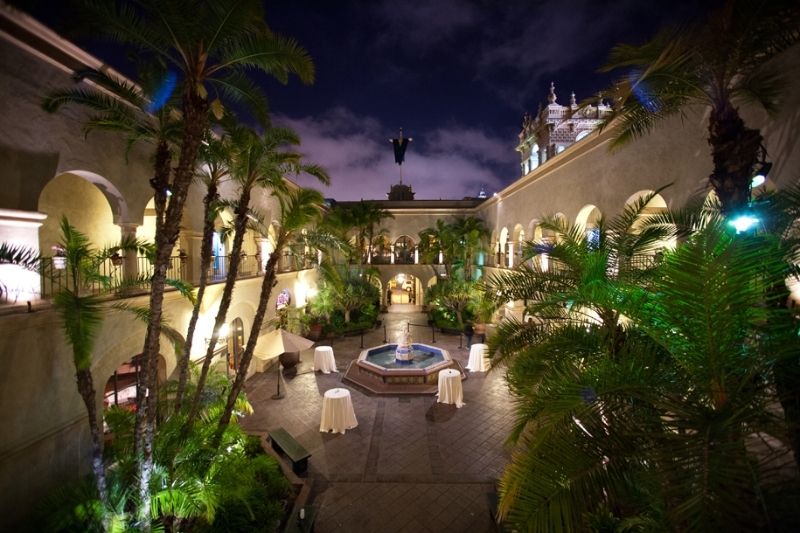 The famous Donal Hord sculpture, “Woman of Tehuantepec,” sits as the centerpiece of the Courtyard. 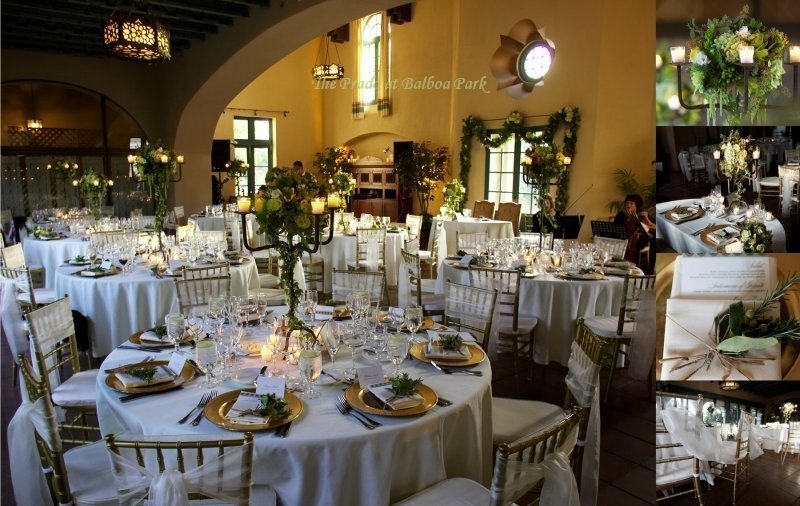 Overlooking Balboa Park’s Plaza de Panama, this charming second floor room will comfortably seat up to 100 guests. 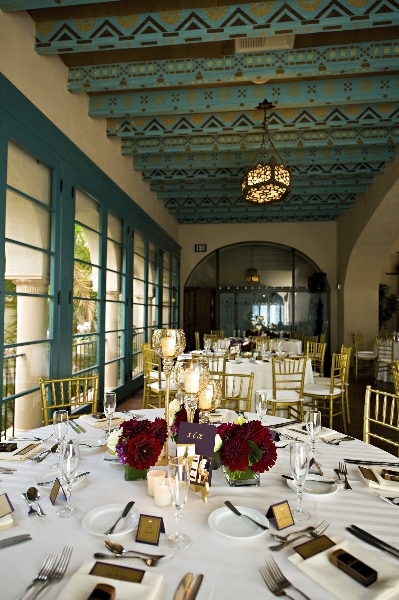 Vaulted ceilings with colorfully stenciled beams, Spanish floor tile and French doors, which open onto the two adjoining rooftop terraces, add to the ambiance. 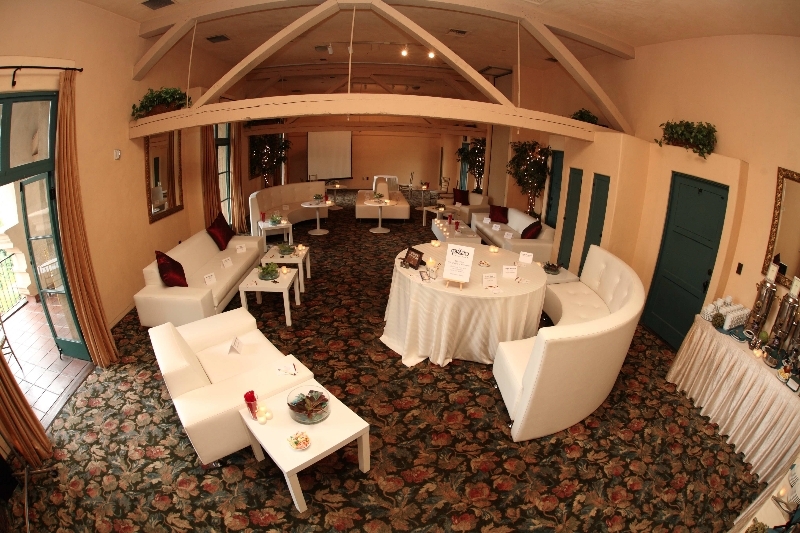 Located on the second floor, this attractive room accommodates up to 80 seated guests. 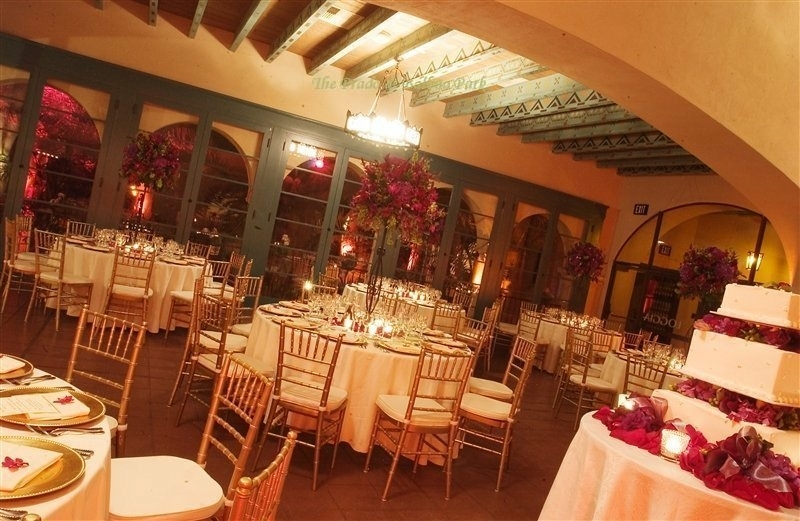 Carpeted floor, an open beam ceiling and French doors that open to a private covered outdoor balcony overlooking the beautiful Casa del Rey Moro Gardens create a contemporary atmosphere. 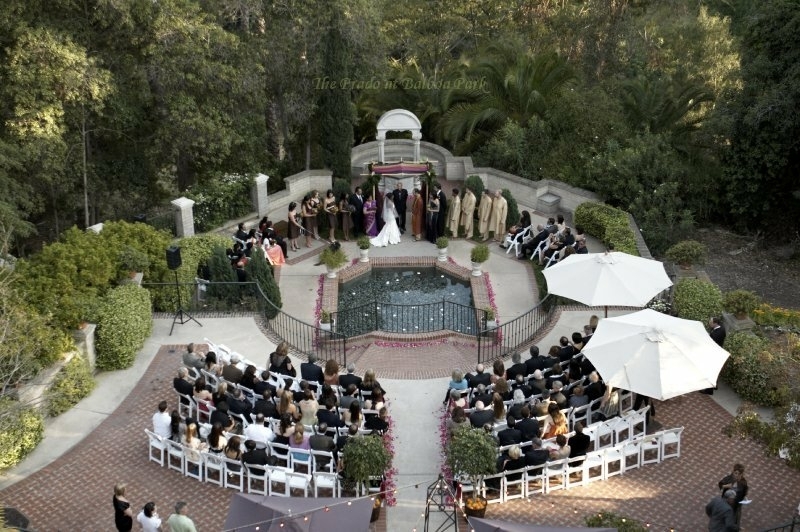 Booked in conjunction with a wedding reception, these picturesque terraces accommodate 320 guests for a wedding ceremony. 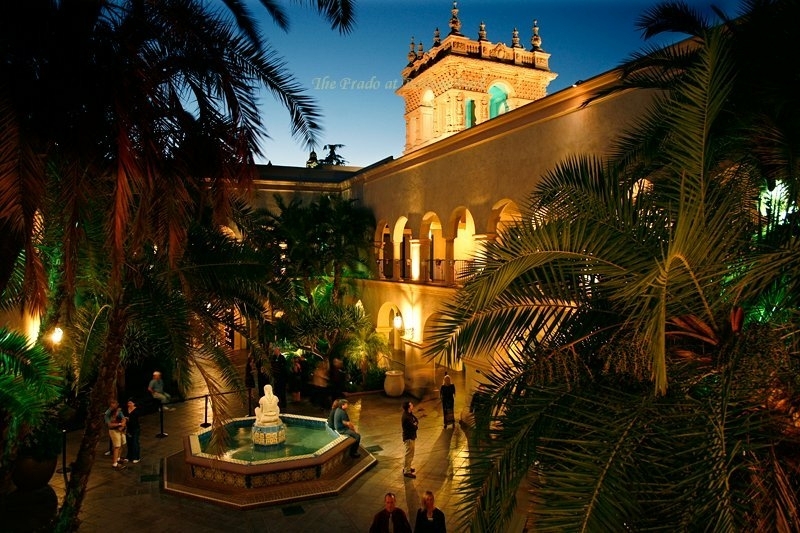 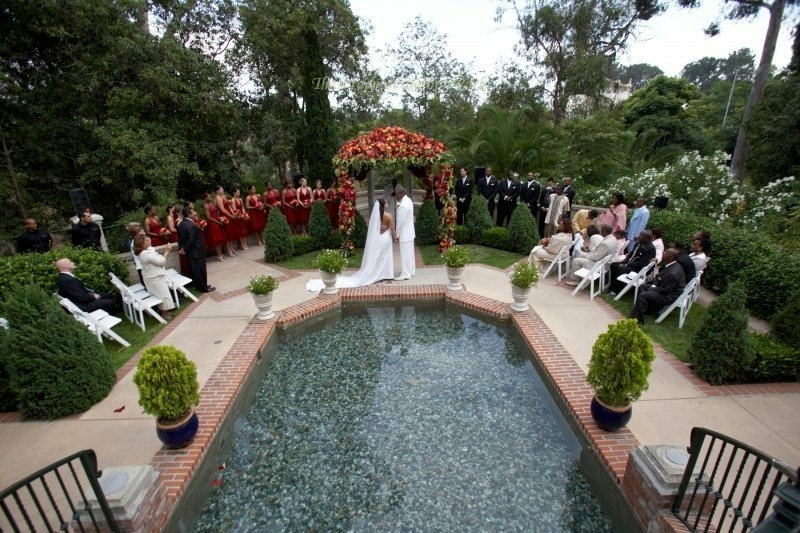 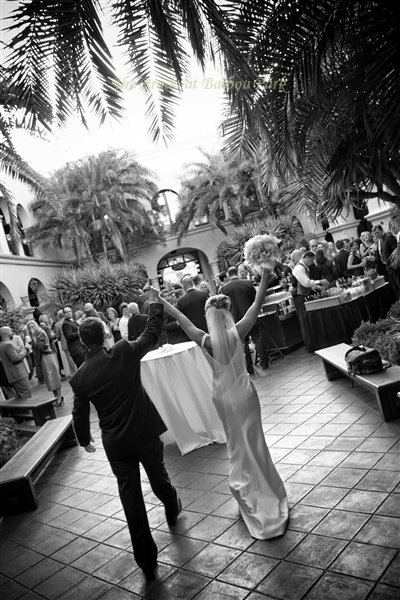 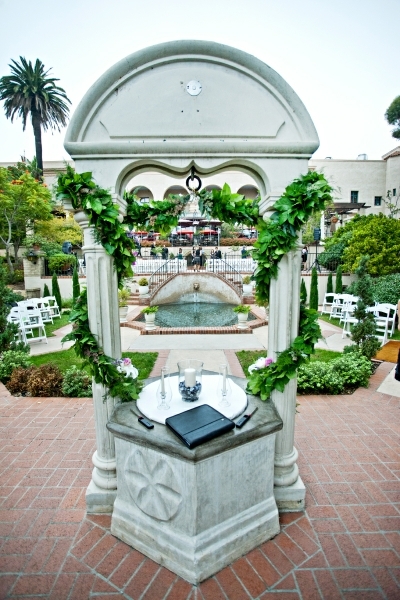 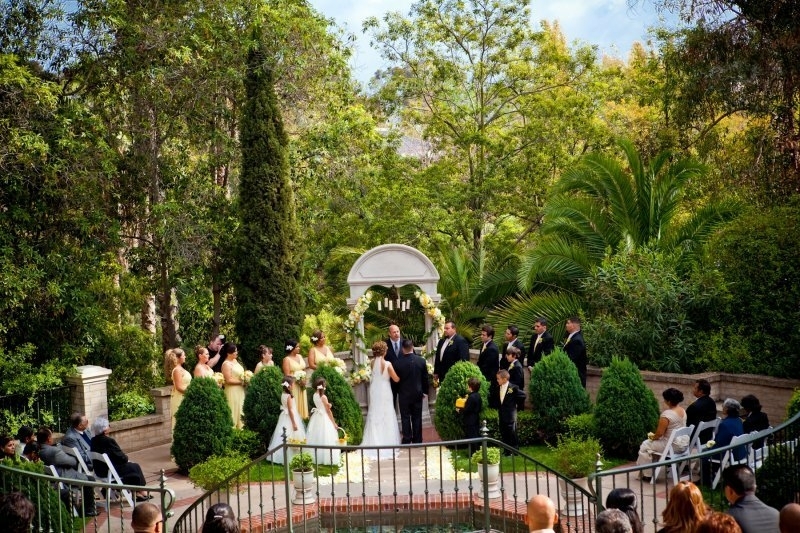 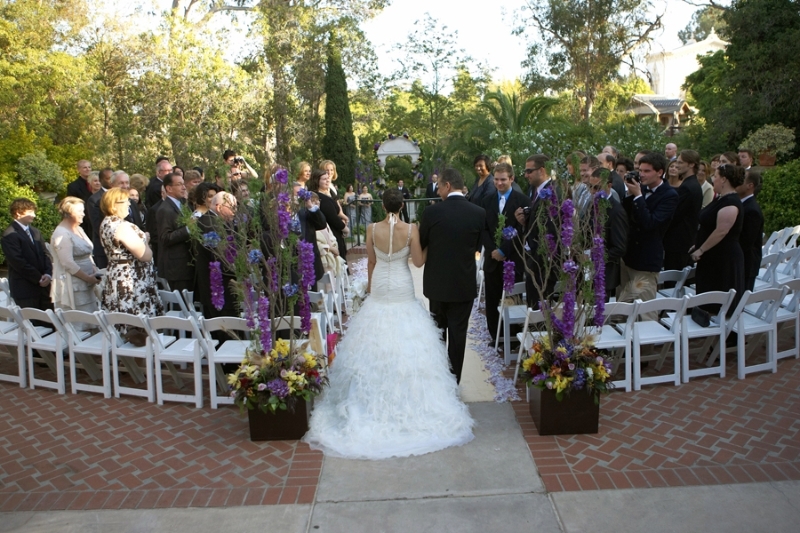 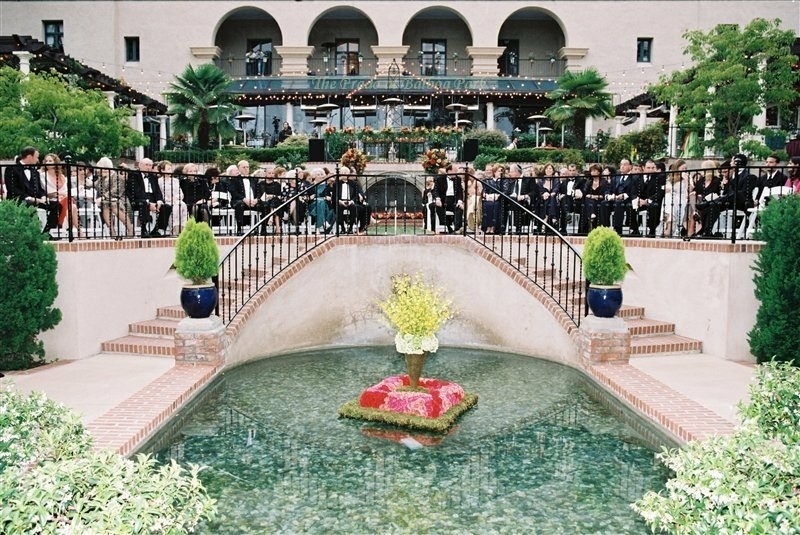 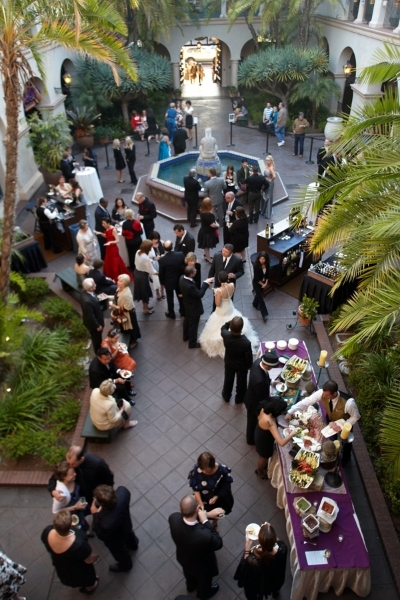 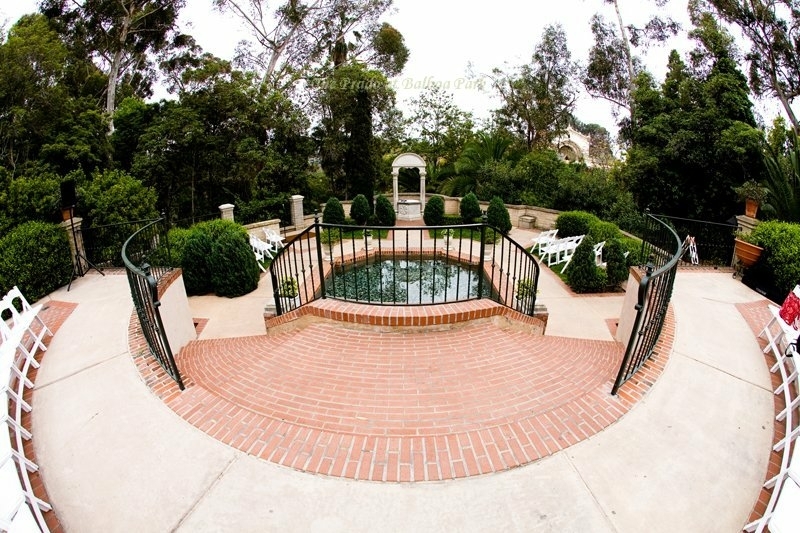 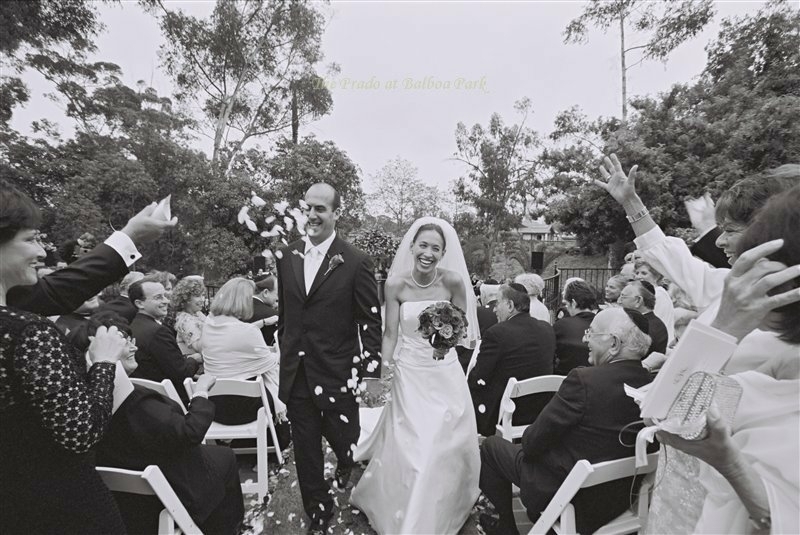 The multi-level terraces, which feature historic fountains, reflecting pool, wishing well and beautifully landscaped gardens, have made this the premier wedding site for generations of San Diegans.